Includes 50 colorfully illustrated cards printed on postcard-size perforated card stock as well as a booklet with 6 different lessons, activities and games that offer many different ways to use the cards. Affirmations are brief statements that we can use to provide encouragement, emotional support and motivation. 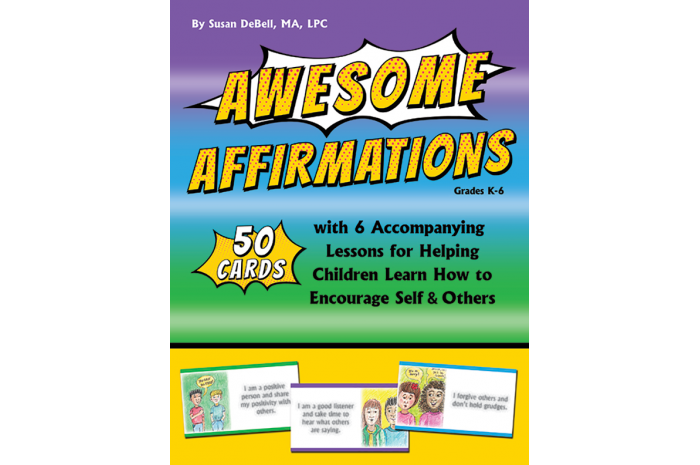 Kids benefit when they learn how to give affirmations to themselves an others. These statements can be powerful tools for use in self-talk and trying to help others. 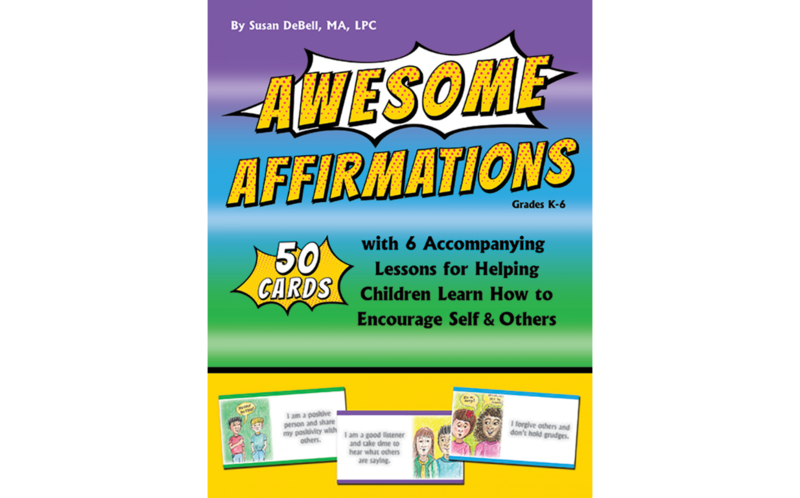 Children can draw upon these affirmations to help them with resiliency, achievement and social-emotional intelligence. "I forgive others and don't hold grudges"
"I am loving and kind to my animals"
"I like challenges because they help me grow"